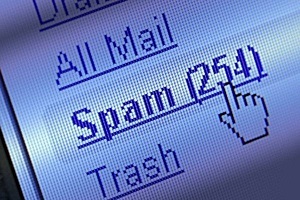 Effective July 1, any unsolicited electronic message sent may be considered a “commercial electronic message,” and – under Canada’s Anti-Spam Law -- any CEM sent will be prohibited unless its receiver has provided consent. Penalties can range from $1 million for an individual offender and $10 million for companies. Although it requires planning on the part of brokers who regularly disseminate newsletters, many other industry leaders are also stepping up to help players ready themselves. “Verico is doing a webinar to help brokers prepare for it and I imagine they will provide some sort of form letter for us to send out,” Sue McCormick of Verico Capital Mortgages told MortgageBrokerNews.ca. However, one organization that has been mum on the issue is CAAMP, according to Lee Welbanks of Verico Welbanks Mortgage Group. Welbanks has yet to receive a response from President and CEO Jim Murphy to an email inquiry sent April 17.